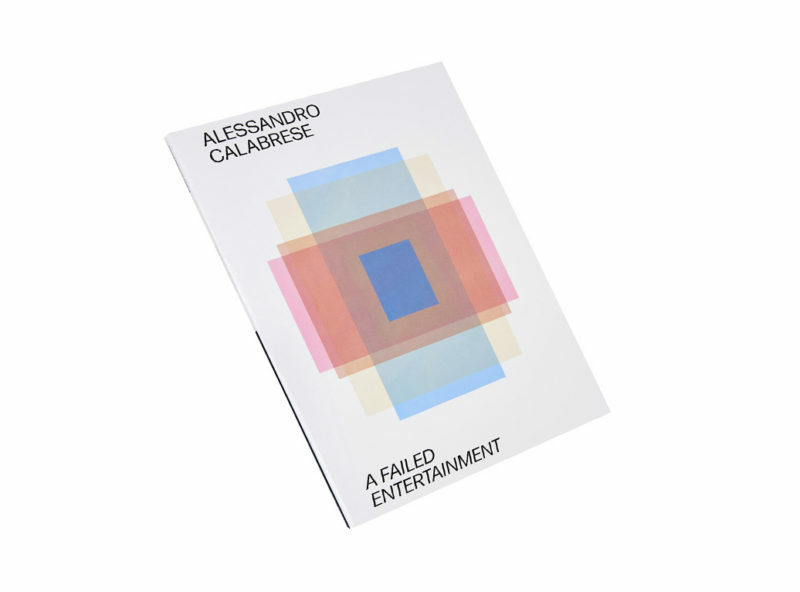 “Something to do with loneliness and something to do with setting up a conversation between human beings.” In a 1996 radio interview David Foster Wallace explained his understanding of art and writing in relation to Infinite Jest, his complex, dystopian novel that has inspired Alessandro Calabrese’s recent photobook A Failed Entertainment. 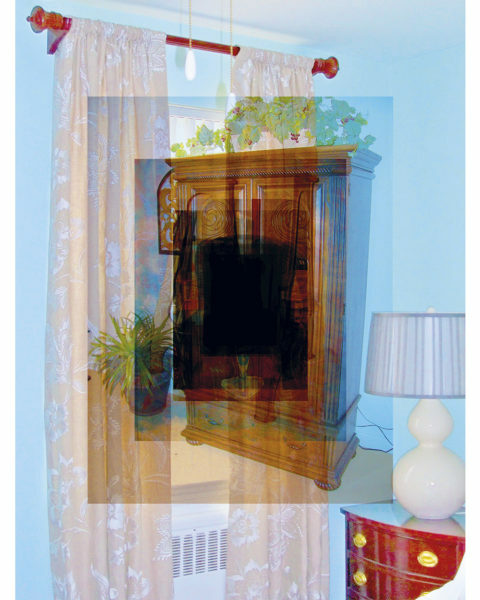 HD screen-sized with a glossy, laminated cover, Calabrese’s work opens an unsettling dialogue with its audience, grappling with binaries of digital/analogue, proliferation/reduction, representation/abstraction, automation/control, in an exploration of photography, authorship and the Internet. 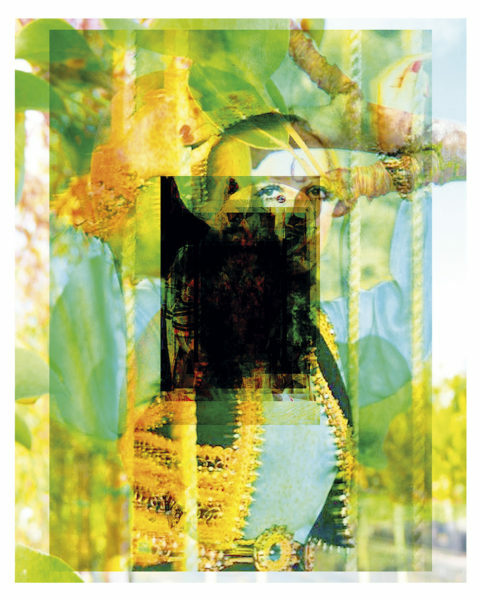 Twenty-one images formed of multiple digital photographs, overlaid and centrally aligned so that each composite recedes to black. 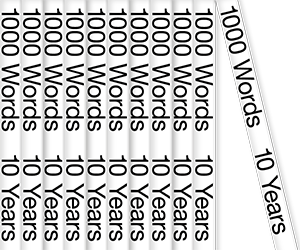 Like window upon window of a desktop in overdrive, the frames pulse centrifugally on bright white pages so that it is hard for the eye to find a resting point. What legible data there is is so varied it seems arbitrary and, like redacted documents, the crux of the matter is obscured. Colours blend between layers to lurid effect. Visual information hits in a barrage (there are at least two figures pointing guns). Faces are anonymous – masked, concealed or obliterated entirely. Marble busts meld with the head of a primate in one particularly sinister amalgam. Two short texts expose the workings of Calabrese’s project: the artist uploaded analogue photographs taken on the industrial outskirts of Milan to Google’s ‘Search by image’ service. From the results he used an algorithm to make a random selection of twenty-one files, which he printed on individual acetate sheets, arranged in layers and scanned back into the computer.